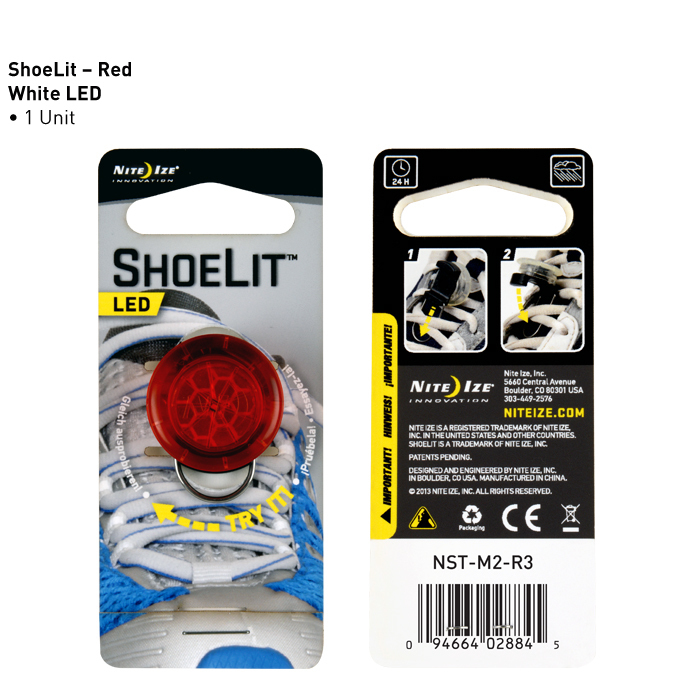 Add a little lightness and a lot of safety to your early morning or late evening run with ShoeLit. Made with a bright white LED in a water-resistant casing backed by a durable stainless steel locking gate, it attaches quickly and securely to shoe laces. 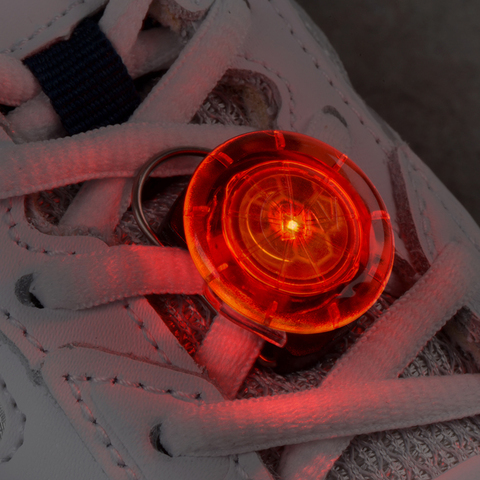 Once in place, it's easy to activate - a quick twist turns it on and off.